Welcome back everyone! Hope you had a great weekend! As an Indian wedding blog, we at MWP have a keen focus on featuring and promoting destination weddings in beautiful landscapes like Kerala, Goa and Rajasthan. When we started out, most of our clients were NRI’s who wished to get married in Goa or Rajasthan. However off late, our clientele is a large number of Marwari, Gujurati, Punjabi and Sindhi clients who wish to have a beach wedding or Palace wedding.The trend of Destination weddings have hugely caught up in India and many couples today plan their wedding in a holiday-like setting on the sandy beaches of Goa or royal palaces of Rajasthan. Many unconventional places like national parks, heritage structures and film studios are also soon getting popular for hosting destination weddings. Having been in the business for a few years now, we have seen that at some point in the wedding planning process, every engaged couple dreams of the idea of having a destination wedding — after all, who doesn’t get excited at the prospect of going somewhere gorgeous and unique to get married in style? Many of our clients from Mumbai and nearby areas consider getting married in Lonavala, Mahabaleshwar and even Goa. While most of our clients in the north prefer a royal wedding in Rajasthan. 1. Plenty of options: A destination wedding is essentially getting married away from home in a picturesque surrounding. India with its rich heritage and unlimited scenic places gives you plenty of options to have a destination wedding. Beach weddings, fort weddings, palace weddings, temple weddings~ everything is possible! Imagine the options!!! 2. Your wedding will be unique: More than 20 lakh Indian couples wed every year — and fewer than 10 percent of them have destination weddings! Bonus: Get married away from home, and you won’t have to choose from the same wedding venues all your friends have got married at! 3. It’s like a holiday for you and your guests: Destination weddings are like one big party! Have a great time with your guests as they come especially for your wedding. You can invite fewer guests and spend quality time with them. 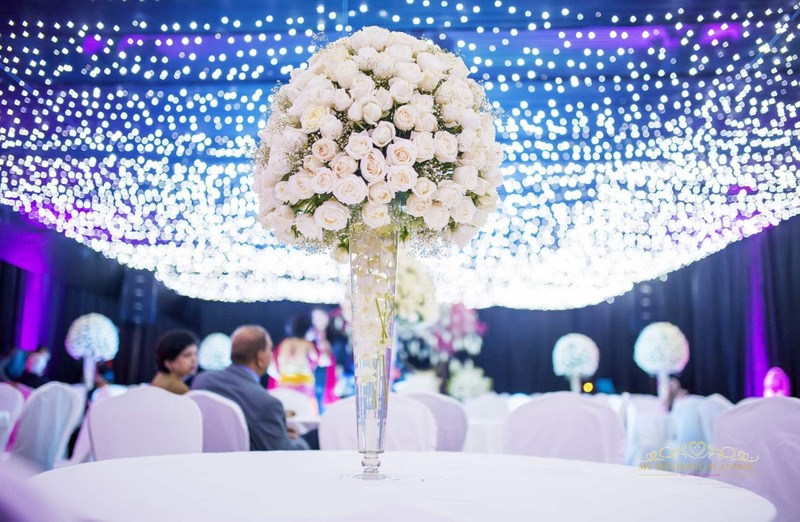 It is advisable to hire the services of a wedding planner if you’re getting married away from home. They can be the difference between a good wedding and a great wedding! 4. You can save on decor. As your wedding in already based in a spectacular setting, you can save money on wedding decor. The location you choose makes for an amazing backdrop and trust us, it doesn’t take much to dress it up. Opt for a beach wedding, a vineyard, a heritage venue, fort or palace, and you’ll be ready to get married with simple floral decor and other modest accents. 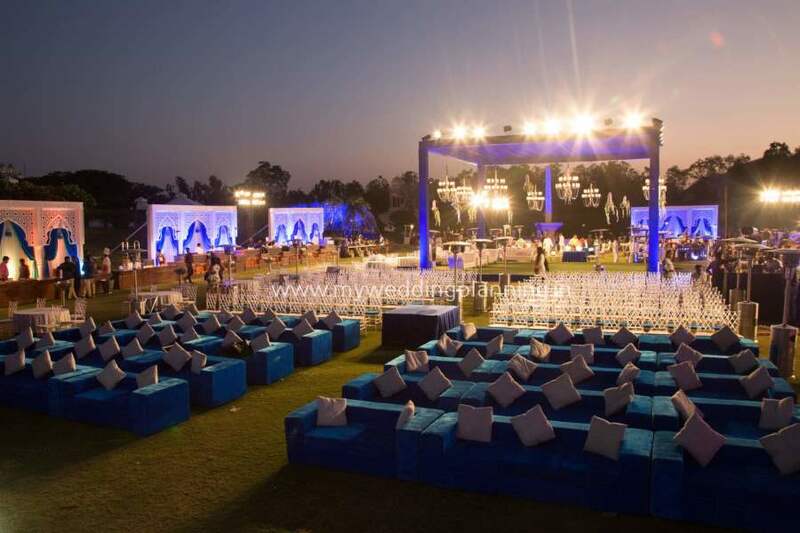 I cannot help mentioning here that MWP’s fabulous wedding decor packages are just ideal for saving on decor for destination weddings in Goa and Rajasthan. Do have a look. 5. Enjoy quality time with loved ones. The standard wedding in your hometown would last for four to five hours, and the bride and groom spend most of that time running from table to table, trying to say hello to everyone. A destination wedding can be for as long as two to three days — which means, now that you will have your family and friends at one place just for your wedding and you can actually spend quality time with them! We do realize however that destination wedding planning can be a little more lengthy and daunting than a regular wedding. This question may have definitely crossed your mind, “can you actually pull off a destination do wedding?” Will our parents be supportive? If you find yourselves debating “should we or shouldn’t we?” we are here to help! We have the expertise to pull off a fabulous destination wedding. With a production house in Mumbai, Goa and Rajasthan we have everything you need to have a fantastic wedding away from home. We will work within your budget to make sure your wedding is one your guests will remember forever! Come back soon! Happy Planning! PreviousPrevious post:Gorgeous Sangeet at Marriott JaipurNextNext post:How to choose your perfect wedding venue? Tips and tricks!